At last summer’s San Diego Comic-Con, Mattel announced that it would be making a special line of Barbie figures featuring characters from the upcoming Batman v Superman film. 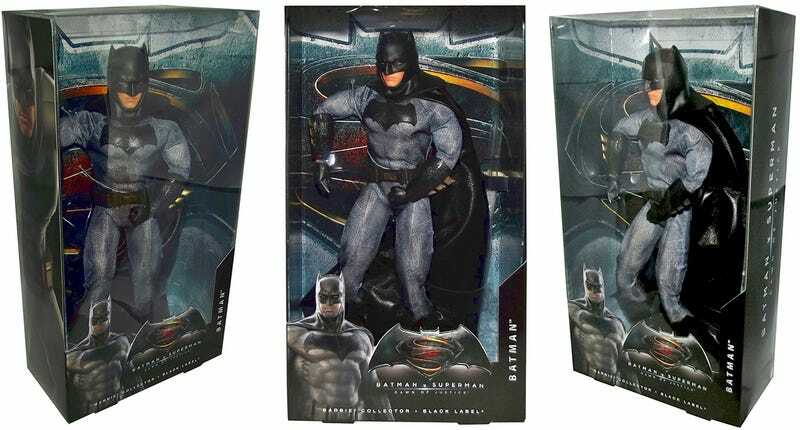 And since the movie’s premiere is just over a month away, the Batman version has just appeared on Amazon. Last week it was also revealed that after 57 years Barbie would finally be available in three new body types, but now it’s come to light that Mattel apparently doesn’t want muscular crime-fighting billionaires to feel under-represented either. Ken has always been pretty fit, but never to the degree of Batman’s physical prowess. The Batman v Superman Wonder Woman version of Barbie was already revealed last summer, but both her and the new Batman Barbie are finally available via Amazon for $90, with Superman presumably not far behind.